If there is anything that you would call a can't miss exhibition, tonight's Masterworks: Defining A New Narrative at the Long Beach Museum of Art would be one of them. Not only is the list of participating artists impressive - Esao Andrews, Sean Cheetham, Natalia Fabia, Alex Gross, James Jean (seen above), Josh Keyes, Mario Martinez, Greg Simkins, Nicola Verlato, Eric White, Aron Wiesenfeld, Martin Wittfooth and Curating Artist and Author Nathan Spoor and Co-curator Jeff McMillan - the fact that they were asked to create or put on display a large scale painting that they would consider pivotal in their career almost guarantees attendees will be seeing some great art. Head over for the opening from 7-10 pm if you are in the area this evening, you won't disappointed. Take a look at some more preview photos below... Discuss this show here. 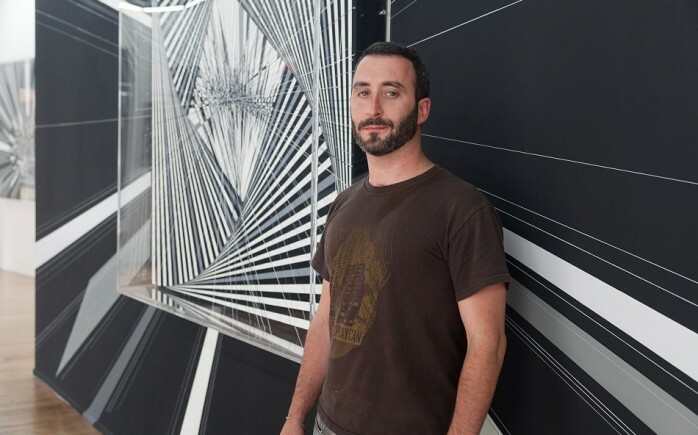 Thomas Canto's works "transpose his personal vision of his environment on canvas." Stripping it of any human presence, his lines and dynamic imagery represent unreal architectures of futuristic cities. Giving a lot of attention to the finest detail, and being fond of precision work and pure aesthetics, his work greatly depends on his peculiar technique. 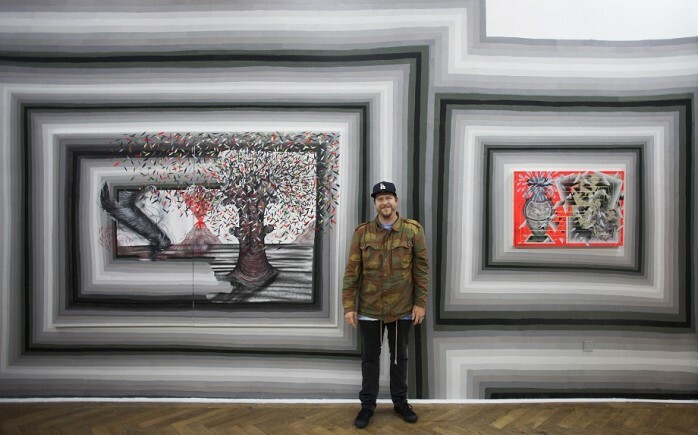 With his current solo show at Atelier des Bains in Geneva, the artist is pushing this idea forward, exploring the possibilities of adding another dimension to his work. For the Transparent Landscapes, the French artist decided to step out of canvas limitations and create works that are between painting and sculpture. This multidimensional approach allows him to show urban architecture and perspective with more technical details, but also gives more depth for the observer. Mixing different materials such as plexiglas and cables, along with painting, the appearance of the new works vary according to the point of view. Juxtaposing black and white, he creates a lot of contrast between sections of the works that change and form different spaces when overlapping with each other. Along with his signature monochromatic pieces, Canto created a series of color work in which he further explores the kinetics and effects of 3D op art. The show opened on the 18th of September, and will stay on view until the 15th of November. Discuss Thomas Canto here. After their inaugural show at their winery in Sion, Switzerland, the MyFinBec project (introduced) toured around Europe showing the commissioned artworks at pop up shows in Cologne, London, Rome, and now has finally reached Berlin. 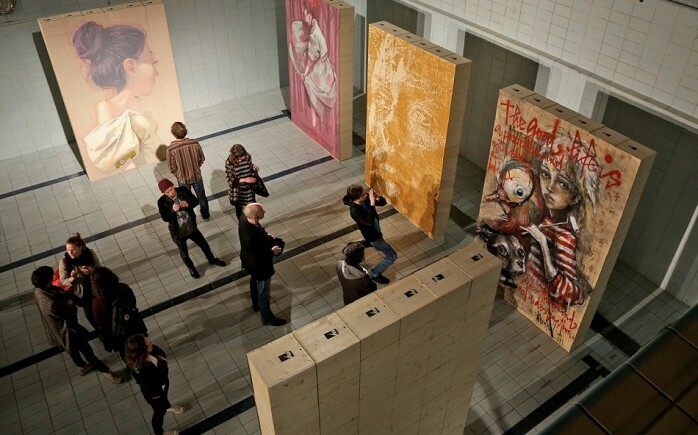 Featuring eight original artworks, small scale murals painted on 672 wood wine cases in total, by the likes of Vhils, Herakut, C215, and Etam Cru, these unique events were a perfect mixture of art and wine tasting. Between October 8th and the 12th, the show stopped by Berlin, where in collaboration with Open Walls Gallery, they organized a special art/wine pop up event in an empty, 100 year old swimming pool. 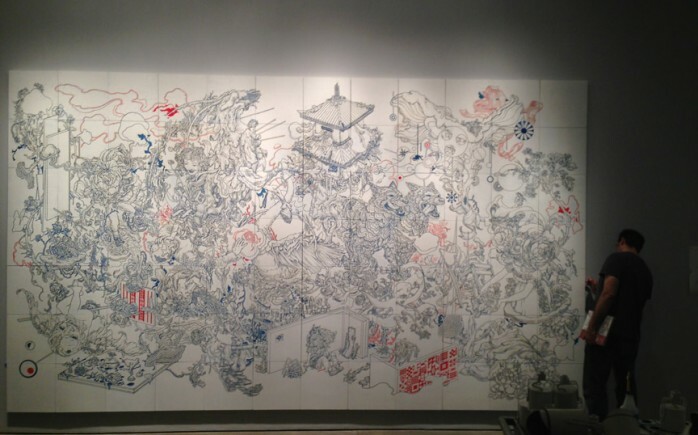 Over 1,000 local art lovers and enthusiasst visited the last show of the tour, saw the works in person, tasted the wine, and had a chance to purchase parts of original works, or a limited edition lithograph of the works. As with every year, each of the original artworks created for the labels of their wine, is divided into 84 sections of wooden wine cases, which are available for purchase at their pop up shows as well as online. After this show, the works are heading back to Switzerland, where they will be disassembled, each case filled with 6 bottles of organic wine, and then shipped to their owners worldwide. 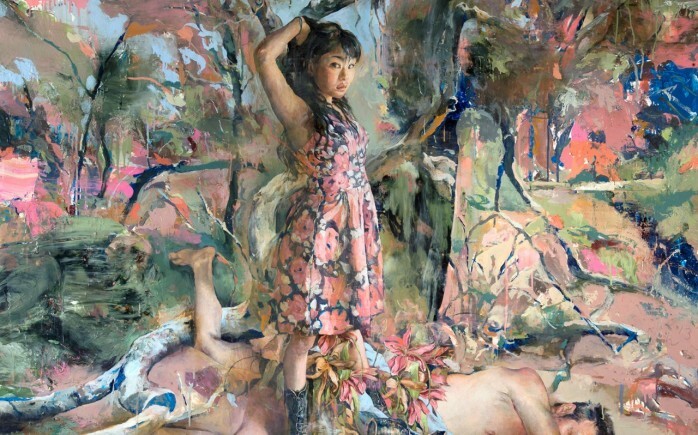 This Saturday night (October 25th) in West Hollywood, 101/EXHIBIT (8920 Melrose Ave) will be presenting new works from gifted painter Kent Williams in his first solo with the gallery. Entitled How Human of You, the new work will feature the lush and rich backgrounds that are settings for his celebration of the human form. In addition, this exhibition will see the locally-based artist take a turn toward abstraction including some works that are totally abstract. For those who want to get there a little early (6 - 7 pm) before the opening reception, Williams will be signing copies of the 36-past show catalog. Discuss Kent Williams here. Leonard McGurr, better known as Futura, recently opened a show at Schusev State Museum of Architecture in Moscow, exactly 30 years since his first visit to the Soviet Union. Back in 1984, the artist was photographed breakdancing on Moscow’s Red Square, which was a symbolic act during tense Cold War times. Three decades later, Futura is back on the same spot, only few meters away when his Timewarp or ИЗГИБ ВРЕМЕНИ opened to the public on October 14th. Despite a huge amount of work and projects that has already sealed his name in the history of graffiti, the NYC-based artist once again proved he doesn't want rest in his past glory. Instead, he is constantly creating new works, tuning up and exploring new concepts, so what is on display for his fans in Russia was prepared especially for this show. 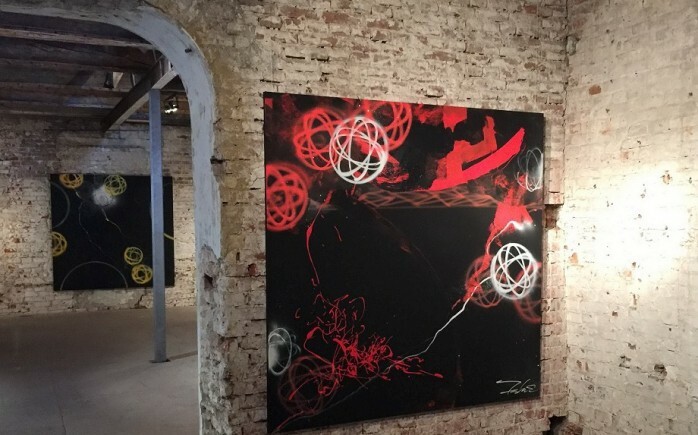 Balancing between the influences of raw street graffiti and abstract masters such as Miro, Pollock or Kandinsky, Futura's works constantly break down barriers and bond different styles. His confident play both with different mediums as well as with abstraction and text, proves the artistic importance and relevance of one of the pioneers of the legendary New York graffiti scene 30 years since his beginnings. Photo credit: Max Seqret. Discuss Futura here. 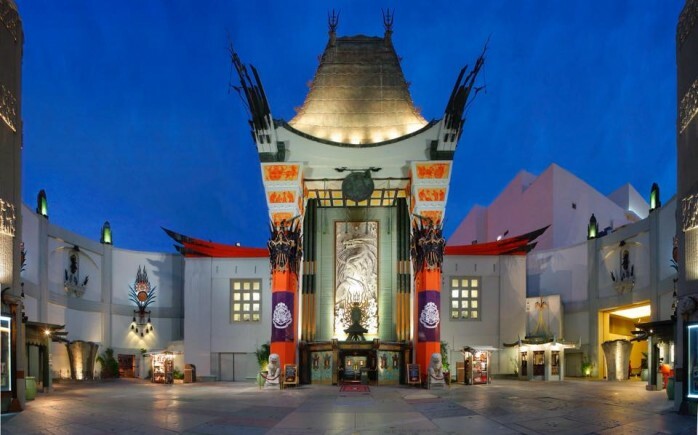 This Saturday night (October 25th, 6:00 p.m.–1:00 a.m), Branded Arts will be putting on their biggest event yet at the world famous TCL Chinese Theatre in Hollywood. Featuring a group exhibition along with a DJ set by Talib Kweli, a portion of the proceeds will benefit Vista Del Mar Child and Family Services. Tickets ($20) can be purchased here for those interested. Take a look at some preview images of the artwork below... Participating artists include: Saber, Cryptik, Yoskay Yamamoto, Mear One, Dabs Myla, Hebru Brantley, Axis, Andrew Hem, Cleon Peterson, Zeser, Tristan Eaton, David Flores, Cyrcle, Mark Dean Veca, DevNGosha, John Park, Dan Quintana, Curiot, Clinton Bopp, Buff Monster, Hans Walor, Billy Morrison, Joey Feldman, Mad Steez, Nosego, Adam Builds, Shark Toof, Angelina Christina, Annie Preece, Woes Martin, Luke Chueh, Steven Daily, Birdman, Bridget Weiser, Brittany Segal, Canlove, Chor Boogie, Conway Bongo, Craft, Danny Minnick, Gregory Siff, David Gardner, Drew Merrit, Ekundayo, Eric O’neill, Golgo, Skyler Grey, Jaime Becker, Jennifer Korsen, Joshua Keen Valencia, Joshua Petker, Lisa Reider, Mathew Curran, Matt Dimon, Maximillian Xavier, NDSLA, Norm Maxwell, Paige Smith, Quam Odunsi, Rooney Hardwick, Ross Morrison, Sean McCarthy, Surgio “Surge” Hernandez, Urbyn Michaels, Wyatt Mills, Nori Pesina, Shanna Yates, Rony Alwin, Shanna Yates, and Charlie Edmiston.